Control Access and increase Security, Track Patients and increase efficiency, Track Equipment and reduce loss & theft with RFID for Healthcare. Healthcare is a business that seeks to provide the best care for patients while ensuring that the rules and regulations set forth by legislators and regulators are adhered to. In such a challenging business environment, GAO RFID provides a suite of solutions that help to reduce costs, improve operational efficiency, and ensure safety; enabling healthcare providers and administrators to make the most effective clinical and business decisions. Many health providers rely on different management software products to help improve operational efficiency. GAO RFID understands this and we are compatible with leading healthcare management solutions including …. Whether your organization is a hospital, out-patient center, community care facility, laboratory, or practitioner’s office, you may face challenges that are typical in the Healthcare industry. In a patient care setting, laboratory, or professional office, your organization will own high-value medical equipment and IT assets that need to be tracked for efficiency and monitored to prevent loss. In addition, the regular maintenance of equipment based on manufacturers’ specifications is vital to optimum performance and equipment lifespan. With RFID, the tracking and maintenance monitoring of equipment can be automated and conducted in real-time. Having a full visibility of medical consumables, knowing where specimens are in the diagnostic stage, and managing confidential documents are all reasons why managing inventory is important to your organization. In many cases monitoring specimen temperature and humidity, keeping track of consignment inventory, and the maintaining of inventory in supply carts are also required. Tagging consumables, medical samples, and documents with RFID tags allows you to quickly see item locations and manage inventory levels to take the guesswork out of your operations. Efficiency is critical to any healthcare environment. Whether it is optimizing patient flow, monitoring staff workflow, or tracking time and attendance, key data can help organizations make the most out of the clinical time spent with patients. Assigning RFID badges to patients and personnel enables the progression of patients and efficiency of staff to be captured as they move through the care process. These badges also can be embedded with employee information so that time and attendance is automatically logged and integrated with an existing payroll system. In any healthcare setting, safety and security remains a top priority. With multiple rooms, zones, and even parking areas, the management of employees, patients, and visitors to these areas are required to reduce risk and keep everyone safe. In addition, many healthcare environments have specialized equipment and need to restrict their use to only trained operators. RFID badges enable a fully automated way of granting and restricting access to zones and specialized equipment, making healthcare environments safe and secure. Identifying and locating both patients and personnel in a healthcare environment is crucial to maintaining safety. Babies are at risk of being mistakenly switched at birth, while patients can be misidentified and may fall or wander while unattended. The safety of personnel is also a priority, as situations of staff duress are increasingly becoming a concern. Using RFID, patients can be positively identified for treatment and located anywhere within a facility. In addition, specialized tags with integrated alarms secure the safety of caregivers in the event of duress; once activated, the tag messages the monitoring system with employee’s identity and location. The function of a radio frequency identification system is to collect in real time the identification of objects and all associated data. The challenge arises when it’s time to put that collected information to work: integrating RFID-generated data into healthcare applications so that essential information can be viewed, analyzed, applied and presented to end users. 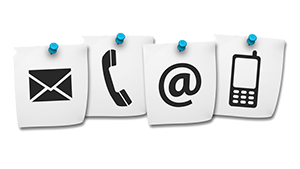 Competency assessment software, EMR and HMS systems, revenue cycle management programs, and decision support management tools are used to help make other business processes more efficient. It is essential that an RFID solution is compaitble with such systems. 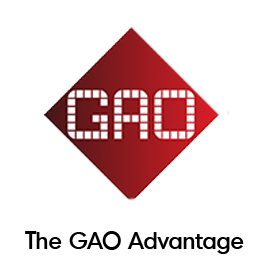 GAO’s AUTO-ID Engine, incorporating middleware and essential RFID functions, plus GAO’s RFID hardware and system integration expertise make it easy to integrate with healthcare systems. Through our middleware and a proper API, the data collected by our RFID systems are seamlessly passed on to your organization’s system of integrated applications. The results are presented in the way that you need, empowering you to make critical, time-sensitive decisions. We are here for you. We can help tailor a healthcare rfid system around your client's needs including custom reports and software solutions combined with all the right hardware. RFID is being used to track and authenticate patients, from new born babies to seniors suffering from dementia and everything in between. The technologies that are being used for patient tracking include almost all the RFID technologies. LF and HF are used for applications such as bedside care and mother and baby matching. UHF is being used to monitor patient movement and establish geo-fencing as required. Active technology is a more robust form of movement and motion tracking. Monitoring the hand cleaning stations at touch points has been a way of improving compliance to hand washing protocols. Healthcare workers simply wear an RFID badge. Hand wash stations at every touch point are equipped with an RFID reader. Every time a hand wash station is used the reader records the user’s identify and length of stay in front of the reader. The accumulated data allows an organization to see how well hand washing protocol is being followed. Bedside care has leap frogged the use of bar codes and embraced RFID to ensure the right medication is given to the right patient. Nursing staff find RFID easier to work with than bar codes and realize the additional privacy that RFID brings to the process. For example, when the nurse is away from the computer on wheels (COW) administering medication to a patient the computer can be programmed to go into screen save mode thus maintaining patient information confidentiality. Bedside care RFID typically employs contact like HF technology. Nurses or meds administrators can be virtually tethered to a the COW using UHF technology. The use of RFID is reducing the chance of overlooking things like sponges or other surgical kit components after an OR procedure. Many ORs are using LF technology to tag everything used in a surgery. Once the procedure has been completed the patient is scanned to make nothing has been left behind. RFID technology is being deployed to monitor patient wait times in real time. Reusable active technology let’s an ER see exactly the number of patients in the queue and length of wait time by patient. By using RFID to tag high demand items like pumps may institutions have reported fewer shortages of these critical items when required and less time lost searching for these items. By using UHF technology any critical piece of equipment can be tagged and tracked throughout a facility making them easy to locate when required. Asset tracking saves valuable people time as well as valuable capital funds. Inventory Management RFID SolutionsRFID can help an institution manage its entire supply inventory. RFID provides the real-time visibility that barcode just can’t deliver. RFID is also being used to manage shared storage areas such as locked pharma cabinets. Access to these cabinets can be restricted, controlled and audited using HF RFID. Inventories inside these cabinets can be seen real-time and from remote locations such as a supplier DC. Most back room inventory systems are using UHF technology. HF is commonly used in Smart storage cabinets. RFID Parking SolutionsRFID is being used for parking control by many establishments. Parking falls into two categories: Public and Reserved. Public parking is usually metered parking or pay as you go. RFID can be used to record the entry and exit time of each visit. The billing is based on the length of stay and the time of day. HF (High Frequency) RFID is most commonly used for cash transaction applications such as public pay as you go parking. Reserved parking using RFID can use a wider variety of technologies varying from HF to UHF (Ultra High Frequency) to Active technologies. UHF or Active technologies are used for the convenience of the reserved parking client. Both RFID parking solutions, public and reserved, can be implemented as anautomated, unmanned, standalone system. Hospital Access Control RFID SolutionsRFID is used by many establishments to control access to restricted entry and exit points as well as restricted areas within a facility. The most commonly used technologies are LF (Low Frequency) or HF because they are contact like and allow facilities to maintain a high degree selective security. Unmanned, controlled access security provides the audit trail information required for restricted access areas. Facilities ManagementA Healthcare facility is like a small city. There is a complete army of engineers that keep things running and maintained. RFID is being use to tag key service points that need regular maintenance. The RFID tag when read tells the service technician what and how to perform the service. An RFID driven maintenance program ensures all equipment is serviced on time and according to specification. RFID has completely changed the waste management game. By using RFID waste disposal companies can co-ordinate and identify all types of waste including hazardous waste. RFID helps identify and monitor all waste generated within a facility as well as track all waste removal. UHF is the most commonly used technology in waste management. Would you like to know more about Healthcare RFID Systems? Would you like to know how it can apply to your needs?